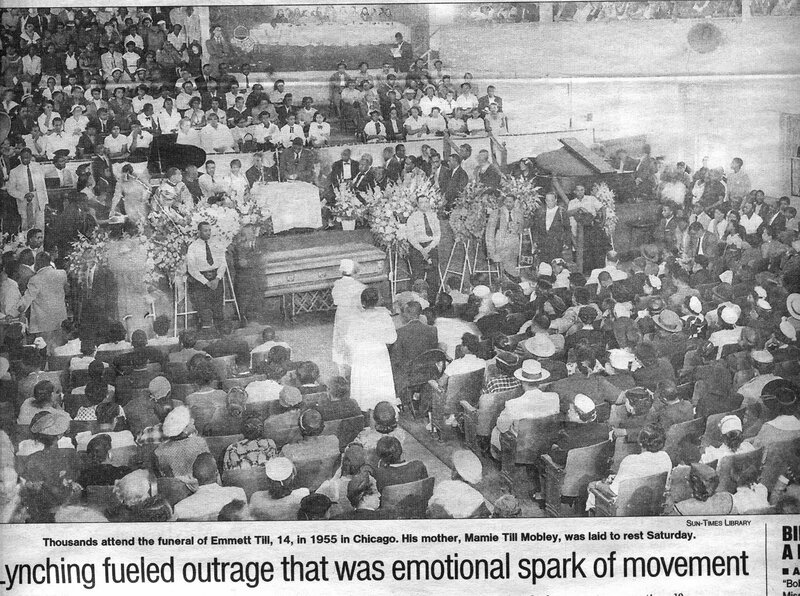 In 1955, in spite of the sheriff’s opposition, Mamie Till Bradley, opened the casket of her son Emmet Till as soon as it arrived in Illinois Central Terminal in Chicago. Bradley announced that she was going to hold an open casket funeral so that everyone could “see what they did to my boy.” Ten thousand people saw the casket of the lynching victim the first day that it was open for viewing and later on the funeral day about two thousand mourners stood outside the church. Despite the controversial court case—the accused were acquitted and protected by double jeopardy— Till’s case is considered among the transformative moments that motivated the Civil Rights Movement. Bradley wanted to share the truth with her community and in order for them to see the victim’s body, she opened the casket for viewing. It was not enough for her to tell the story, testify in court, and to leave her son’s body as a piece of evidence for the proceedings, but rather she wanted to put the truth on display for everyone to see. Here the visualization of truth, the making visible of the victim’s body, proved the act of showing as integral to truth itself. On June 11, 1963, the Buddhist monk, Thich Quang Duc stepped out of a car at a central intersection in Saigon, sat in the lotus position on a cushion and set himself ablaze. His self-immolation was an act of protest against oppressive measures set by President Ngo Dinh Diem against the Buddhist population of South Vietnam. It is widely believed that his act of self-sacrifice was a turning point in a series of incidents that lead to the fall of Diem in November of the same year. 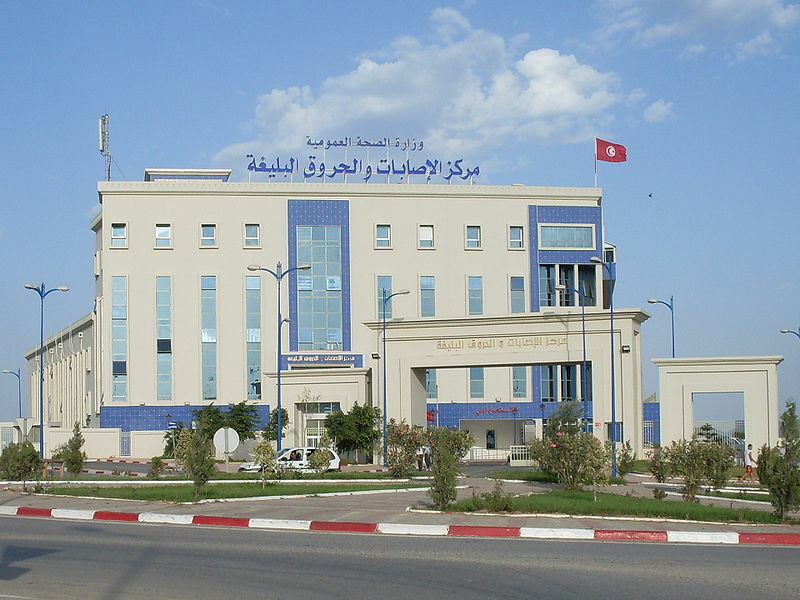 A similar incident occurred in 2010, when on December 17th, Mohammad Bouazizi’s self-immolation in Tunisia, triggered a wave of uprisings in the Middle East, now known as the Arab Springs. When all the avenues of discussion are closed and language ceases to communicate, self-immolation is the ultimate visualization of death as communication. It is at this moment when the word and the image become one entity conjugated in death. If parrhesia is concerned with the duty of telling the truth for the good of the community despite all the dangers and risks involved, political self-immolation is the ultimate parrhesiastic act in its utmost visualization. Faced with the complexities of the Benjaminian concept of the dialectical image (earlier posts), and the difficulties in imagining such technical image, here I would like to use Foucault’s concept of Parrhesia to think of a set of conditions for images concerning truth. In his series of six lectures, at the University of Berkeley, California, Foucault talks about the essential properties of parrhesia as a “verbal activity in which a speaker expresses his personal relationship to truth, and risks his life because he recognizes truth-telling as a duty to improve or help other people (as well as himself). In parrhesia, the speaker uses his freedom and chooses frankness instead of persuasion, truth instead of falsehood or silence, the risk of death instead of life and security, criticism instead of flattery and moral duty instead of self-interest and moral apathy.” Could there be a visual component to parrhesia? Could it be a visual activity instead of solely a verbal one? While this concept includes the notion of danger, discussed above, but also sets a few other conditions that might prove useful in imagining possibilities to go beyond the formal indexicality of the photograph. The first condition that Foucault mention is frankness, the notion that the speaker does not use any form of rhetorical maneuvering to persuade the listeners. The second condition is the notion of truth, and here according to Foucault, the speaker has established a ‘personal relationship’ with truth and believes what he is saying is true. It is important to note that not anyone could be considered a truth-teller, and the practice of parrhesia was held for male citizens of the Athens democracy, a notion that further ties the parrhesia to citizenship. The third condition is danger, for not any kind of truth-telling is a practice of parrhesia, for instance a grammar teacher tells the truth, but does not take any risks in telling so. The other condition of such speech activity is the notion of criticism, Foucault writes, “parrhesia is a form of criticism, either towards another or towards oneself, but always in a situation where the speaker or confessor is in a position of inferiority with respect to the interlocutor. The parrhesiastes is always less powerful than the one with whom he or she speaks. The parrhesia comes from ‘below’, as it were, and is directed towards ‘above’.” For instance when a philosopher criticizes a tyrant, or a citizen the majority, etc. This notion of criticism, is tied the notion of duty, the last condition that Foucault ascribes to parrhesia. Tied to the notion of citizenship, the speaker takes it as a duty to say what s/he is saying to enhance the living conditions of the community. The question is if and how can these conditions be applied to images, and the practice of image making? For the most part, one can argue that there are images that could meet these conditions of production. Take the surviving photographs of Auschwitz, they were produced under precarious conditions, they were not in any ways, and by any means manipulated and could be considered “frank”, they made visible the inhumane practice of the perpetrators, and by doing so they performed a form of critique. However, the practice of parrhesia is a public practice, it happened in the agora, it was directed toward the king, the tyrant or the democratic elected representative government. These photographs show “moments of truth” for the future, they are historical documents and like all images, they represent an absent. Parrhesia as a figure of speech requires the presence of the speaker at the moment an utterance is being made. The question here would be if the image-maker can share the same spatial and temporal coordinates with the image at the instance of visualization. Therefore, visual parrhesia requires an agora of spectatorship, where the images are produced, distributed and viewed at the same time. It is when the event and its representation form a single entity, where one would not exist without the other. Under these conditions, a certain degree of risk and danger creates an umbilical cord between what is being shown and the image-maker who is present where such an act of presentation is taking place.